Say goodbye to USB keys! With Sage Estimating SQL, Sage now uses a convenient online system to activate and verify your Estimating license. The new convenient online licensing system at Sage will maintain a list of your purchased modules and number of license uses. With your Company name and Sage Client ID, the Sage online licensing system determines the number of available licenses you have purchased, and allocates them to the license server for use in your environment. The Sage License Server replaces the dongle-based License Manager used in the Pervasive version of the software. It is important to note: As long as your current dongle is functional, the Pervasive software will still work. However, should you lose or break your current USB key, replacement devices are no longer available. The new ribbon toolbar interface is modern and familiar for any users of the current Microsoft Office Suite. Rather than drop down menus, you can navigate through tabs and select your tools with easily recognizable icons. A customizable Quick Access Toolbar provides a readily available shortcut to your most used tools. Saving you even more time from clicking through options. 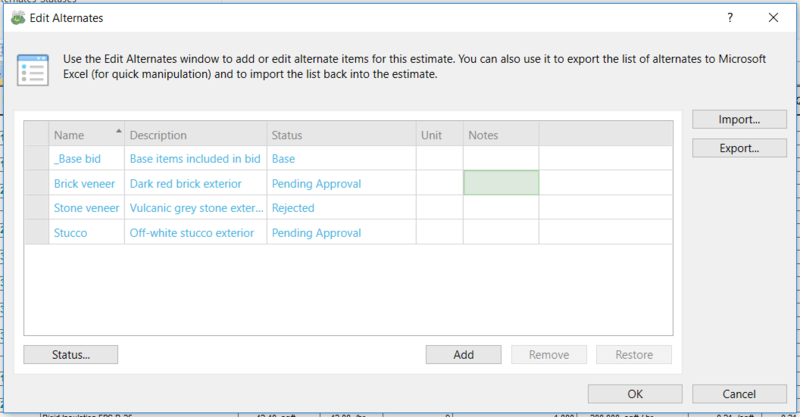 Shared Layouts allow you to create an Estimate Spreadsheet look that can be shared amongst all team members. This means, you no longer have to waste time building the same layout for each user. The Estimating Management Console provides a tool for Database Management, Estimate Management, and Security. In the Standard DB tab, all of your Databases are organized in a list. 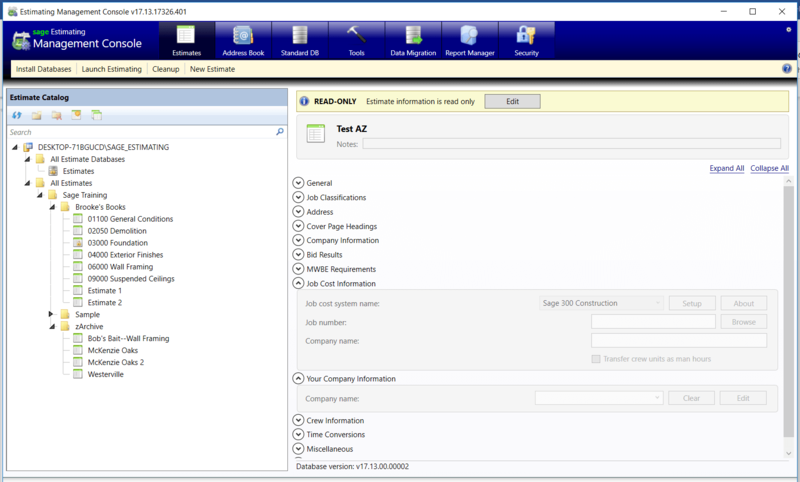 You can select any Database and edit the information right in the Estimating Management Console. The EMC also provides a tool that allows you to set user Security. Multi-level, customizable Role-based Security can be assigned to each user. Whether its Admin privileges or Estimator Roles, each player on your team can be assigned roles that allow them access to the right tools within the software. Sage will no longer be supporting the Pervasive software. The last version of Sage Estimating Pervasive released is compatible with the 2017 year-end releases of Sage 300 Construction and Real Estate. 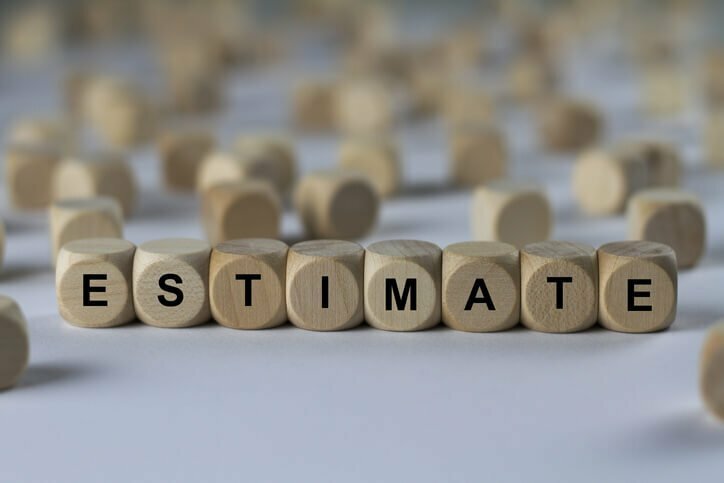 There are no plans for a subsequent Sage Estimating Pervasive releases. If you want to stay up to date and make sure your program is supported, upgrade today. Be sure to click below to get in touch if you need help making the move to Sage Estimating SQL.